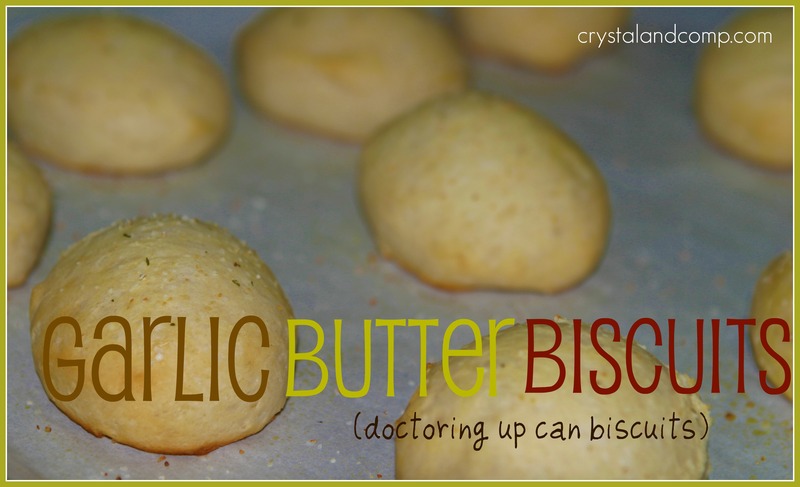 I want to share with you an easy way to doctor up can biscuits. Most of the dinners I serve my family include a meat, a starch, a veggie and a bread. I buy frozen dinner rolls, Italian bread, good ol’ bread slices and even can biscuits. Sometimes, I get a little adventurous. Why not. It’s fun. This version goes well with any pasta dish. Make sure you check out my list of easy recipes that I have shared here on my site. Yum! Simply arrange the can biscuits on a cookie sheet. 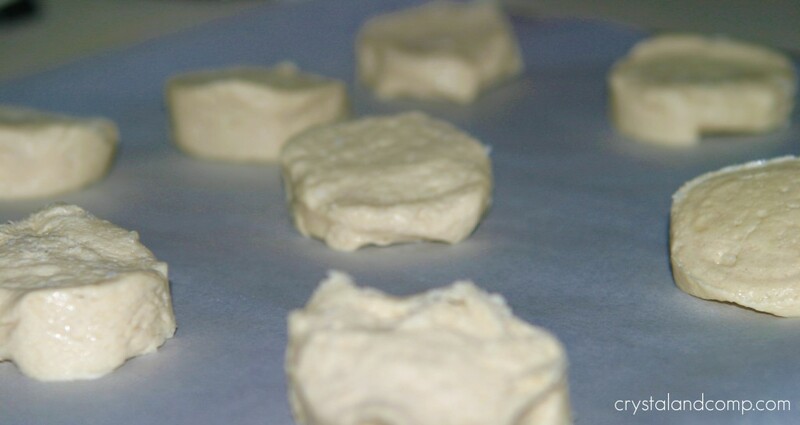 I like to use parchment paper on the cookie sheet. Give a few shakes of your favorite garlic salt over each biscuit. Go easy, you do not want an overly salty flavor. 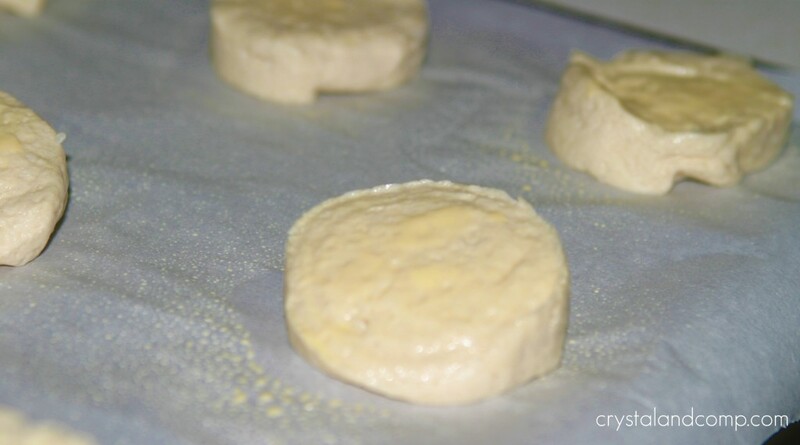 Pop them in the oven and bake as the biscuit packaging suggests. Once they are done, they will look like this. 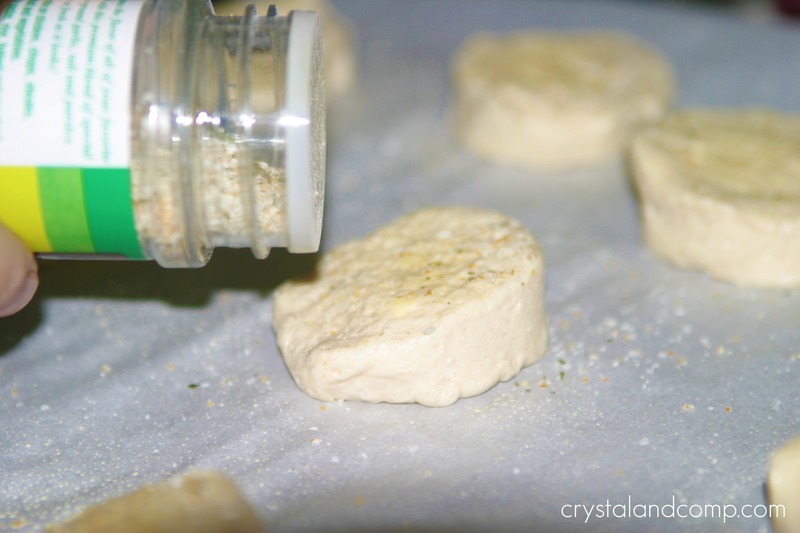 Such an easy way to doctor up can biscuits at dinner-time. An easy way to doctor up can biscuits at dinner-time. 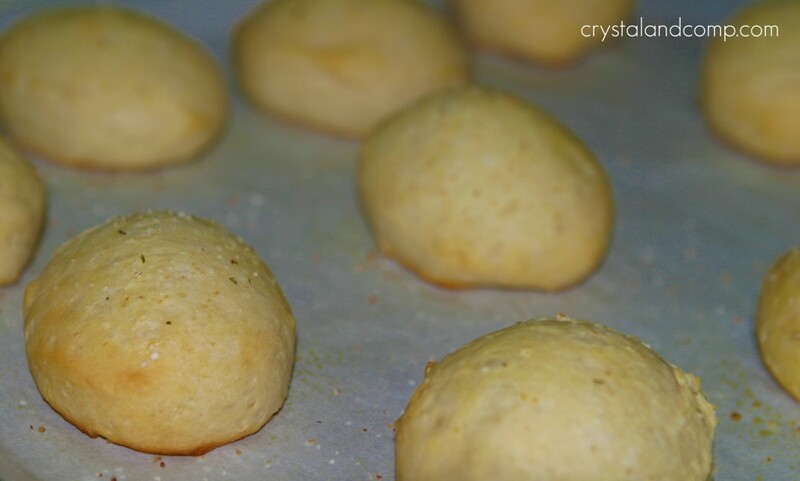 Give a few shakes of your favorite garlic salt over each biscuit.Go easy, you do not want an overly salty flavor. Wow, how simple yet delicious! How did I not ever think of this before?! What a good idea, I never thought of this! Cool, right? There is so much you can do with can biscuits. Have a great weekend, Jamie. Garlic and Bread, how could you go wrong???? Thanks for taking the time to stop by. I love your site and your weekly recipe party each Monday. I hope you give doctored-up can biscuits a try. Have a great week. Thanks for sharing the recipe, seems quite simple to make, will try it out. It is a great way to spruce up a can of biscuits in no time flat. What a great idea to flatten them with a spoon. Did I kind of cave the middle in so the butter merged to the middle? Sounds yummy! Oh the possibilities with canned biscuits.